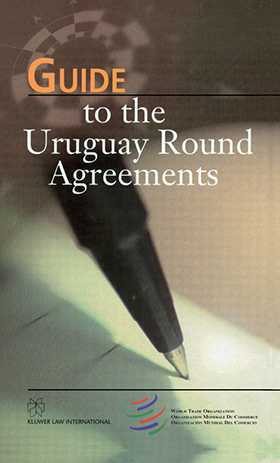 The Uruguay Round, one of the longest and most complex economic negotiations ever undertaken, was completed successfully in December 1993. Its results are embodied in nearly 30 legal agreements and a large number of supplementary decisions, as well as a large number of highly detailed separate undertakings in which each country specifies the levels of trade restrictions, which it promises not to exceed, for thousands of different products or services. The joint agreements and decisions alone add up to well over 500 pages of printed text, and the individual undertakings, or schedules, bring the total volume of the results of the Uruguay Round to almost 300,000 pages. This formidable mass of paper embodies a total overhaul of the basic rules and institutions of world trade, and the birth of a new institution, the World Trade Organization. With such a complex background, yet such a legal and practical significance, the purpose of this book is to make the results of the Uruguay Round of Trade Negotiations easier to understand. Many efforts have already been made to present an overall view of the results of the Uruguay Round and their significance. In general, however, reports on the Round have described the agreements only in broad terms, and often from a very specific viewpoint. Those who wish to have a fuller and more precise view have largely been left to find their way, as best they can, through the legal texts. This book, more detailed and clear than anything written on the Uruguay Round so far, offers them a companion and a concise guide.